Head coach Mike Riley addressed the media for the first time since defeating Illinois during Tuesday's Big Ten teleconference call. Conversation centered around the many injuries Nebraska is dealing with during the Huskers' bye week. "If we’re going to have a bye, this is probably a good time for us," Riley said. Offensive lineman Tanner Farmer and wide receiver Alonzo Moore received the best update from Riley. He sees both having the most potential for return by Indiana. Moore is still battling a shoulder injury, while Farmer is recovering from a high ankle sprain. “We are hopeful they will be ready," Riley said. As for wide receiver Jordan Westerkamp and tight end Cethan Carter, Riley is not as confident the two will return as quickly. Westerkamp suffered an injury to his back that sent him to the hospital during Saturday's game. Riley said his back is "sore and tight" and that his return will depend on how quickly it loosens up. Carter suffered an elbow injury against Illinois, which will also take some time to heal. Riley expects both Carter and Westerkamp to miss the Indiana game but to potentially be ready by Purdue. The team will know more within the next 10 days. "It’s going to be a little while before we can tell exactly when they’ll be back," Riley said. The final injury update came about running back Devine Ozigbo. He sprained his ankle against Illinois and will not be practicing this week, according to Riley. The Huskers will know more about Ozigbo's availability for Indiana come Sunday. 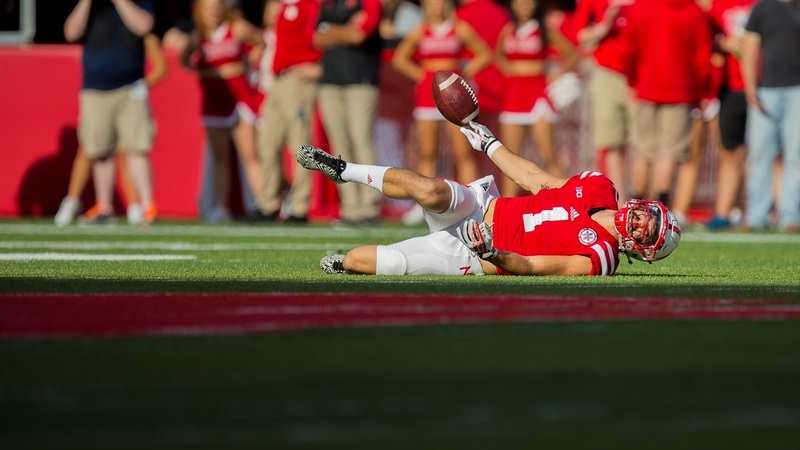 The Huskers will only practice three times this week, using the time off to heal and rest.